I have seen a lot of trainers I have seen some good trainers and some bad trainers. I will give a list to help you pick the good from the bad. This is all my own opinion so take it as it is. If your personal trainer has a gut or is overweight you may want to consider picking a new trainer. 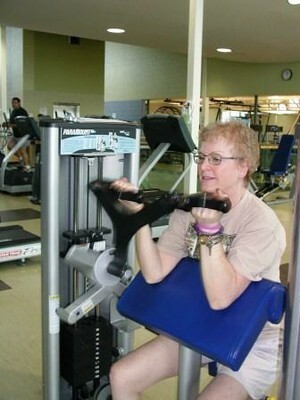 If there philosophies on exercise has not helped them get in shape. How can they help someone else. Yes this may seem a little shallow and you should not judge someone by how they look if they were serious about there jobs or had a passion to help people get better they would be in good shape themselves. Would you allow someone who is broke to manage your money? If a personal trainer has taken your money and promptly walks you over to the machine weights just kindly ask for your money back. Machine weights for the most part are idiot proof. Look at the picture guide select your weight and perform the guided movement in the machine. If most of you workout consist of weight machines then ask for your money back. I believe that trainers need to not only show you a proper work out program but also teach you skills with using free weights as well. If your trainer does not mind keep reminding to have good technique when performing an exercise then they don’t really care. I have seen many personal trainers what clients perform partial squats. 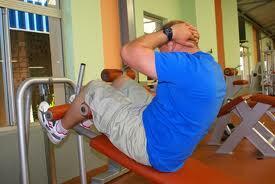 Teach people to go full range of motion or make sure they are doing an exercise proper and safely. 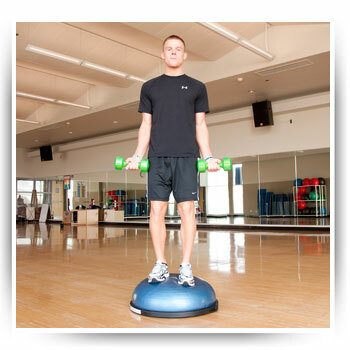 If they can’t perform full squats on a bosu ball have them do it on the ground it is plan and simple. This is relatively new but none the less if your personal trainer is keeping up with the current research they would know that sit ups and crunches cause more problems to the lumbar vertebrae. So why are they still subjecting their clients to this torture. There are several other ways to Strengthen the core muscles. You have planks, med ball tosses, farmer walks, suitcase carries x band walks, Pallof presses, land mines and etc. These exercise are more friendly on your spine and get better results than crunches and sit ups. In conclusion if your personal trainer is overweight, makes you use the bosu ball and Machine weights for a lot of your exercises, doesn’t advocate good technique and is still making you perform good sit ups and crunches its time for you to find a new trainer or a new gym in entirety. Been there – sadly can say I’ve seen it – moved on.Unfortunately, go into any gym today and you still see the same thing.